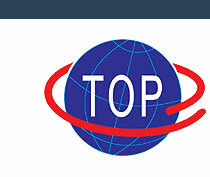 Top Group recognizes that Human Resource is the key element/ asset in the organization. Hence, we offer a career in a wide variety of functions that are challenging and interesting. Further, we offer a dynamic and technology-driven work environment where you will benefit from the innovative thinking and progressive policies that result from working with some of the industry's leading experts. Initiative, innovation, teamwork and leadership are some of the key qualities we look for. Motivation and morale is the backbone of Industrial workforce to work effectively which ultimately help improve productivity of the company. In this regards, management presents "Man of the Year" award every year to various employees for their performance and achievement in their respective field. Further, sports and cultural events are organized on various occasions like Republic, Independence day, etc. to strengthen the employee relations. Top Group recognizes the importance of the role and contribution of the employees to the growth of the company. A structured and systematic training to the employees on continuous basis will enhance their knowledge and skill to perform better and contribute more to the growth of the company. Such training and development is more important as the company is operating at multi-location with multi-products and multi-processes and employees are joining from different regions with different cultural, family, academic and professional background and with different mind/ skill sets for same or different functions. The company also realizes that the training and development is a continuous process and it is essential to impart training to the employees at all levels for development of skills and converge into one and unified work culture in the best interest of the company. The Group usually conducts various training program for its employees with the help of Assam Productivity Council and other outside agency. These training programs not only enhance the morale of the employee but also help them to work more efficiently for achieving the higher productivity. As a part of HR management, the Group has started to organize 'Corporate Meet' every year. Corporate Meet-2010' was marked by a 2 day workshop conducted by noted HR expert, Mr Ajay Agarwal, followed by a Strategy Meet and an award function.